For three years running, Utah has won top ranking as Forbes Magazine’s “Best State for Business and Careers”. From a diverse economy with strong life sciences, information technology, aerospace/aviation, and other industry clusters, favorable and sensible tax/regulatory environment, young and educated workforce, robust international trade, to high quality of life. Innovation, industry, education, and good governance culminate in Utah to create a diverse and thriving economy. World-class companies in Utah create synergies in their respective industries. Foreign direct investment (FDI) is actively encouraged. Where better place than Utah is there to expand your business? Utah has a stable and predictable business friendly climate. It consistently receives recognition for its low operating costs, high economic growth, and excellent governance. Utah has propelled to the top without question due to a unified purpose of community leaders, from education, business to government working together to maximize opportunities. Local experts say that Utah’s growth is due to a business-friendly environment built over years of investment. During the past 10 years, Utah’s net growth in new businesses averaged 6.3 percent while the national average was 3.9 percent, according to the U.S. Census Bureau. 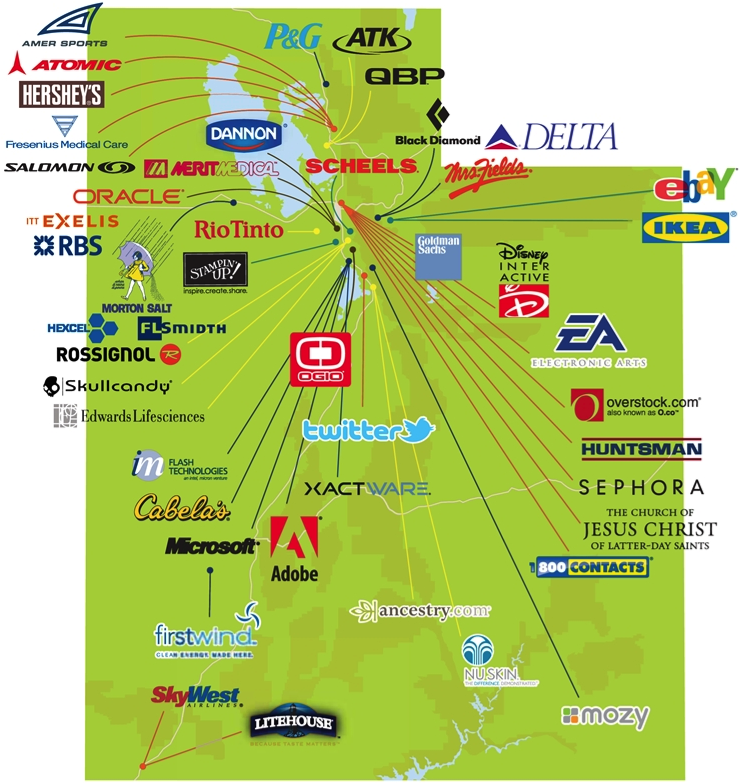 Companies that move to Utah soon discover that their needs are met. Utah’s transportation, communication, and energy infrastructures are the best. Utah offers tax rebate incentives to companies that make capital investments in the state and create jobs. Utah doesn’t just house successful businesses, it grows them. The Utah Fund of Funds program supports the state’s thriving venture capital industry. The state-sponsored fund uses its portfolio of US$5 billion of investable capital to inject money into local and regional venture capital and private equity funds. One of the lowest tax states in the U.S.
One of the lowest operating cost states in the U.S.
Second-lowest commercial electric and third-lowest natural gas rates in the U.S.
One-day truck service to most major cities in the western U.S.